David originally came to Dr. Nguyen due to pain in his jaw. Dr. Nguyen fit him in right away and handled his pain. 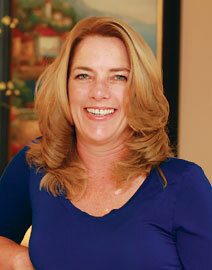 “I was having severe mouth pain and my current dentist couldn’t fit me in at a reasonable time. My wife found Dr. Nguyen online who promptly scheduled me for an appointment. Dr. Nguyen quickly diagnosed the issue deciding that a root canal was needed. She fixed the problems quickly and affordably. “What I really like about Dr. Nguyen is the explanation she gives about the computerized x-rays in her office so that the patient can see the issue with her. Dr. Nguyen also gives you individual attention, not several patients scheduled at one time causing waiting room delays and divided attention between patients, like at the other dentist’s offices. 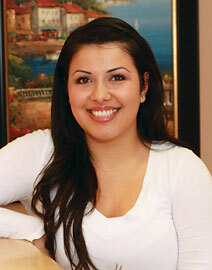 Carolina first came to Dr. Nguyen because she needed cosmetic dental work done. Dr. Nguyen was able to give her an immediate appointment and take care of her esthetic dental needs. “I was investigating dental practices and was very impressed by the prompt and friendly service I received when I called Dr. Nguyen’s office. I was able to schedule an appointment at my convenience and when I came in for my first visit I found a friendly staff that treated me in a caring manner. “I have since been going to Dr. Nguyen for seven years and could not be happier with the service I have received, which has led to my current overall better dental and oral health. Dr. Nguyen and her staff know that having dental work done is not always pleasant and they work hard to ensure that you are comfortable. Jeannie needed a dentist who was caring and gentle. She had some cavities that needed filling and found Dr. Nguyen on the internet. “I needed dental work done, but hadn’t been to a dentist is a while because of a previous dentist who really hurt me. Dr. Nguyen was very friendly and did great work. I had a crown or two done and I was very pleased with the results. Faith’s first experience with Dr. Nguyen involved TLC and the repair of five broken teeth. “They were so nice to me from the start. I had fallen on my face, broke five teeth and was feeling very scared. They were quite friendly and accommodating and saw me at literally a minute’s notice. 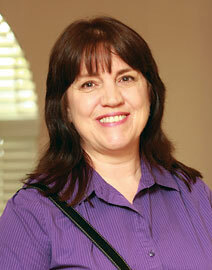 Terry came to Dr. Nguyen for help in saving and enhancing her smile. 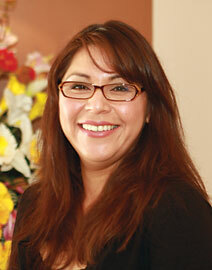 “I needed a dentist who would understand my needs and a friend of mine recommended Dr. Nguyen. My friend said she was an awesome dentist and that she was very caring and puts passion into her dental work. “And I needed a lot of dental work done. 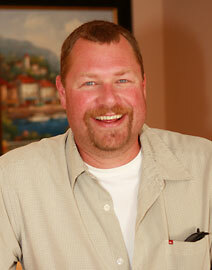 We are talking cleaning, multiple cavities, root canals, crowns and cosmetic dentistry. I have very sensitive teeth so going to the dentist was not a happy place for me, until I met Dr. Nguyen. She has a way of turning a dental procedure into something great to look forward to. “On the day of my first procedure, I felt no pressure. I wasn’t rushed and everyone on staff was very nice and reassuring. Dr. Nguyen herself was very caring and patient. It was as if her office dedicated my two hour appointment only to me. Since then I have looked forward to my appointments because they are so enjoyable. “I love my new smile. And I thank Dr. Nguyen for her perfectionism. Her work is fantastic both medically and cosmetically. She doesn’t stop until your smile is flawless. She cares about your comfort and reassures you if you’re scared. She’s awesome both personally and professionally. She truly cares about my smile and my satisfaction. “Some of my teeth were rotten and uneven. I was recommended to Dr. Nguyen by a co-worker. I found her to be friendly, happy and accommodating and she made me feel comfortable with her dental work. She was exceptionally careful to make sure my dentures fit right and would last. 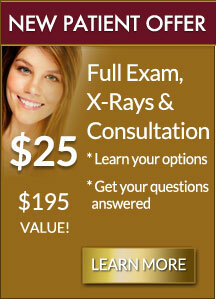 “I have been coming to Dr. Nguyen since 2006 because of the professional service I have received. It is a very comfortable office and all the staff make you feel welcome. They are very accommodating at getting you in as soon as possible, especially for emergencies. “I had many injuries to my teeth over the past 66 years and really needed a competent dentist to deal with the multiple dental problems. I’ve had the good luck to be a patient of Dr. Nguyen for many years now. “I have a sincere feeling of confidence in Dr. Nguyen and her excellent staff. All the many procedures I have been through with Dr. Nguyen have been successful. I have been to many dentists before and have never been as impressed as with Dr. Nguyen. 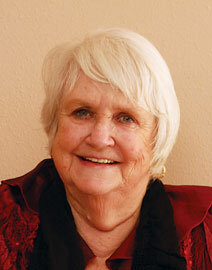 “I have been a patient for the past six or seven years. I originally came to Dr. Nguyen because I was looking for a dentist that could care for my teeth. Dr. Nguyen helped save my teeth over the years by doing the necessary root canals and fillings that were needed, along with the deep cleanings. “Dr. Nguyen is so caring. She has a caring spirit and is always smiling at you. She laughs with you and she always has a listening ear no matter how long you talk with her. I know she really cares about my teeth. “Dr. 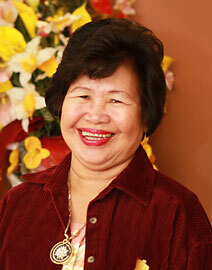 Nguyen has been a great dentist to me since I decided to have dentures due to the condition of my teeth. She was very friendly along with her staff and very honest. She did everything to make me comfortable during the procedure and gave me the assurance that I will be able to use my denture and function normally. “I was so happy to find a family-oriented dental practice that was more interested in my dental health than what was in my pocket-book. Dr. Nguyen’s primary concern is your dental health, and she will work with you with creative solutions to financing so everyone can afford good dental care. “Dr. Nguyen is the best dentist I’ve had in many years. Given my age (70) I’m particularly concerned about keeping all of my teeth and avoiding nasty surprises such as breaks. Dr. Nguyen’s best characteristics are in attention to detail, meticulous work and sincere interest in doing work that pleases me. “I really enjoy my treatments with Dr. Nguyen. She takes the time to make sure I am comfortable and not in pain during the treatments. She and her staff are well organized and highly professional, using “state-of-the-art” technology and techniques. I feel extremely confident in her training and practical application of it; which I have seen on every visit. “I was uncomfortable smiling and laughing before I underwent her dental care and now I feel good about myself when I’m smiling and laughing. I really love how my teeth look now after Dr. Nguyen’s work. She is always cheerful and positive. She is kind, pleasant, friendly, and professional. “I was scared about whole procedure. Dr. Nguyen seemed very confident on what the outcome would be, which made me feel better. The procedure that she did for me was great and I was very satisfied with her work. “I was nervous about going to the dentist. I called a few places and none of the people seemed friendly enough for me to be a patient. Dr. Nguyen and her staff assured me I was in good hands and answered all of my questions upfront. “Another thing, I was able to call her office after hours and get a hold of her to tell her my teeth hurt and she said to come right away the next morning and I was taken care of.